Entropy is very excited to be attending this year's Frankfurt Book Fair this Wednesday through Friday (10th - 13th October). We already have loads of exciting meetups planned, but if you have some time on Wednesday 10th come and see our booth in the IPG Area (HALL 6.2, A73). We'll be there from 13:00 on Wednesday and always excited to meet up and chat about all things publishing and technology. Entropy is very pleased to be hosted at the event by IPG, the Independent Publishers Guild, and will be spending most of our time in their main area in Hall 6. We'll also be around the Fair and available to meet up on Thursday and Friday morning - so please get in touch and let us know if you want to chat or fancy a quick coffee! Finally, you know us, we'll of course be liveblogging here on the Entropy Blog from time to time throughout the week and will be blasting Twitter with all our thoughts, photos, and feedback. Once a year Frankfurter Buchmesse turns into the world capital of ideas. It is the most important international trading venue for content of all kinds - from novels and children's books to scientific databases. Here, experts from global publishing meet partners from the technology industry and related creative industries such as film and games, from where new cooperations and business models take their course. 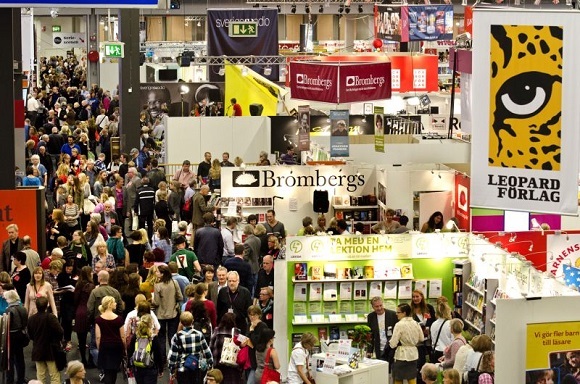 At the same time, the fair is a major cultural event: around 7,300 exhibitors from over 100 countries, more than 275,000 visitors, over 4,000 events, around 10,000 journalists and around 2,400 bloggers make Frankfurter Buchmesse the world's largest trade fair for publishing every year - and Frankfurt, the metropolis on the Main, the centre of the international media world.